Abu Dhabi, 16 October 2012- Finance House PJSC (FH) has registered a net profit of AED 65.7 million for the nine months ended 30 September 2012, compared to AED 55.3 million for the same period last year. This translates to a robust year on year growth of nearly 19%. Also, Finance House Board approved a Share Buyback Program for up to 10% of the Company’s shares issued which is now subject to ESCA and UAE Central Bank approvals. Total Operating Income for the nine months ended 30 September 2012 grew by circa 27% to AED 155.4 million compared to AED 122.7 million for the same period last year, on the back of robust growth in lending book and higher returns from the group’s well-diversified investment portfolio. Net Loans & Advances grew by 20.5% to AED 1.35 billion as of 30 September 2012 compared to AED 1.12 billion as of 30 September 2011.During the same period, Customer Deposits grew by 32% to reach AED 1.63 billion as of 30 September 2012 compared to AED 1.23 billion as of 30 September 2011. The resultant Loans to Deposits ratio as of 30 September 2012 stood at a healthy 83% (91% as of 30 September 2011), with ample room to support continued growth in lending book in line with improving levels of business activity across the UAE. Return on Average Equity for the first nine months of 2012, on an annualized basis, significantly improved to 17.3% p.a. compared to 12% p.a. for the full year ended 31 December 2011. Similarly annualized Return on Average Assets for the first nine months of 2012 improved to 2.6% compared to 2% for the full year ended 31 December 2011. The Group’s Capital Adequacy Ratio as of 30 September 2012 stood at a robust 21.6% and provides a solid foundation for balance sheet growth in the near term. The basic and diluted earnings per share attributable to the ordinary shares of FH for the nine months ended 30 September 2012 stood at AED 0.22 per share compared to AED 0.18 per share for the same period last year, which is a 22% growth, year on year. 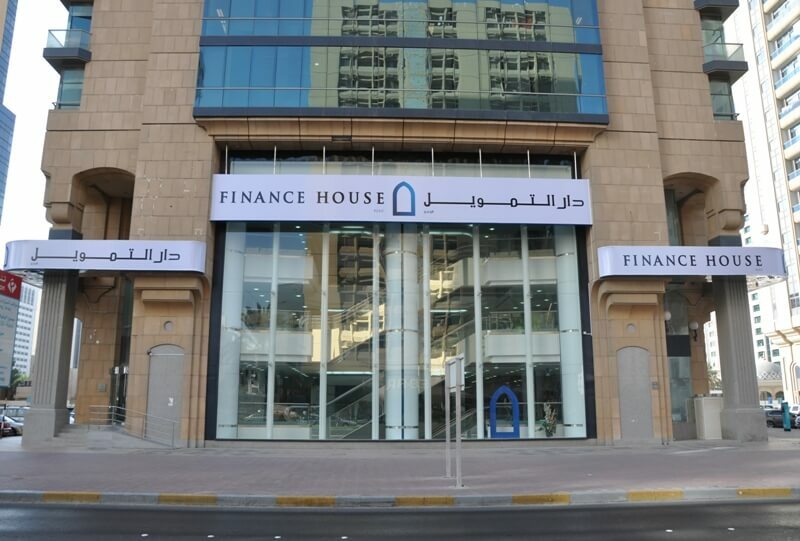 Mohammed Alqubaisi, Chairman of Finance House said: “Finance House is built on solid foundations and over the years, we have demonstrated consistent growth and delivered excellent results despite challenging economic conditions. Our robust financial performance to date in 2012 is in line with this established tradition”. Commenting on the proposed Share Buyback initiative Alqubaisi said: “FH Board has decided to initiate the Share Buyback Program of up to 10% of the Company’s shares issued because we believe that there is no better investment we can make than in our own future”. “We believe this decision is in the best interests of our shareholders and Finance House, and is intended to enhance shareholders value”. “We look forward to the future with great optimism and remain confident of our ability to continue growing”, concluded Alqubaisi.